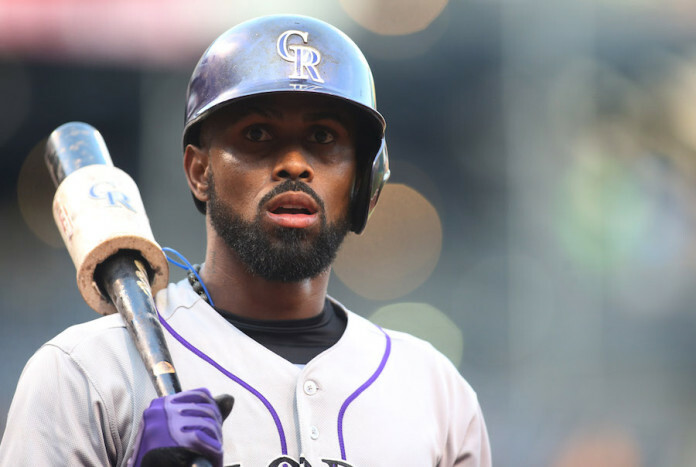 Colorado Rockies shortstop Jose Reyes was suspended for the first 51 games of the season following domestic abuse charges that were eventually dropped, and will officially be eligible for play tomorrow, June 1. Instead of joining the Rockies, though, Reyes will be optioned down to Triple-A Albuquerque. 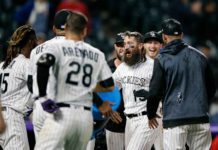 The question of what to do with Reyes has always been a tough one for the Rockies — the fans and organization would probably rather he just disappear entirely — but the emergence of Trevor Story at shortstop makes the conundrum even more interesting. Trading the former All Star is the obvious conclusion, but that’s easier said than done. Reyes is still scheduled to make $22 million in each of the next two seasons, which is a hefty sum for any potential trade partner to take on. Even at just 32 years old, Reyes isn’t nearly the player he was four or five years ago, and he’s probably not worth half that salary. If the Rockies were to part ways with Reyes, they’ll probably have to eat some of that contract on his way out, which may not sit too well with ownership. At some point in the near future, though, they’ll have to make a decision. You can’t keep a $22 million player down in the minors for long.